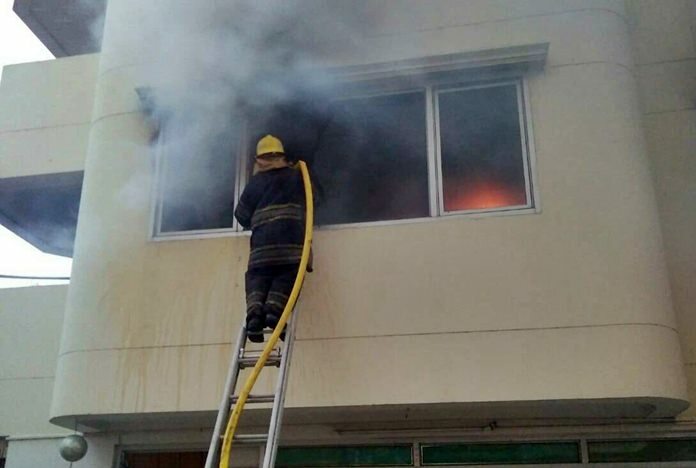 No one was injured when a fire destroyed a Sivalai City Place apartment in South Pattaya. Fire destroyed an apartment at a South Pattaya condominium, but injured no one. Firefighters took about 30 minutes to extinguish the blaze in the second-floor apartment at Sivalai City Place. Somniyam Judai, who operates a massage business directly under the burnt-out room, said a foreigner had just moved into the apartment, but was not at home at the time. The fire gutted the entire unit. Damage was estimated 200,000 baht.